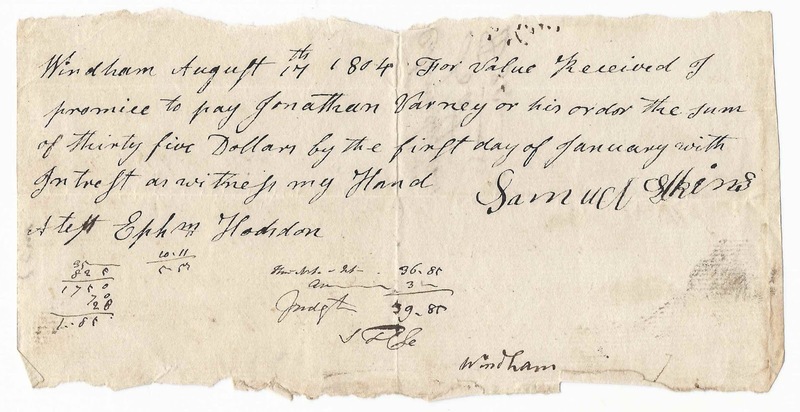 August 17, 1804 document where Samuel Elkins promises to pay Jonathan Varney $35. The agreement was witnessed by Ephraim Hodsdon. 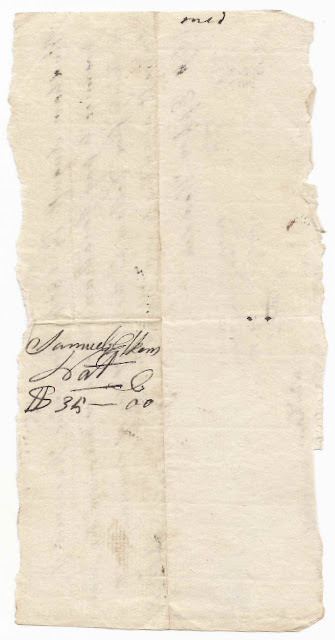 The document was signed at Windham, with no state written, but I believe it was signed at Windham, Maine, as there were men of those three names living in the area during that era. 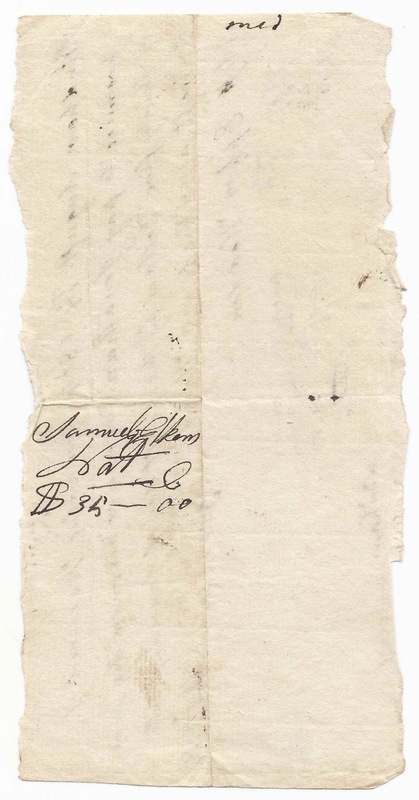 Whether or not they are the same men, Samuel Elkins, a yeoman from Raymond, and Ephraim Hodsdon are mentioned in the Moses Little Papers and Court Records, 1817-1843, held by the Windham Historical Society, Windham, Maine. Raymond, Maine, abuts Windham. Windham August 17, 1804. 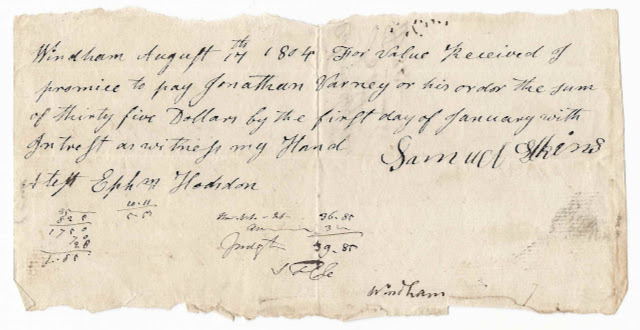 For Value Received of promise to pay Jonathan Varney or his order the sum of thirty five Dollars by the first day of January with Interest as witness my Hand. If you have a different take on the Windham where this document originated, please leave a comment or contact me directly. Thanks!